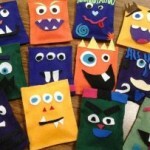 Looking for a warm and fuzzy community service project to do with your classes this Halloween? Check out the project Staci Wallech of Hagerstown, Maryland challenged her child development classes to create. Students made itty-bitty felt costumes which were donated to the tiny patients of her local hospital! Needless to say, the possibilities for cuteness were endless! 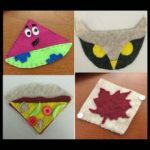 This fun project was designed by Sasha Roble of Central Dauphin High School, Pennsylvania as a beginner sewing project and can be utilized at nearly any grade level. Ideally, this is a great project to use in conjunction with a unit on time and resource management. The bookmarks are unique and provide students with the opportunity to construct a practical and useful product. 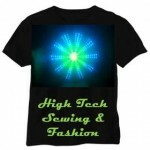 They can be sewn relatively quickly (4 – 5 days) and are not costly to make. Many schools are encouraging their students to read beyond the English class. This can easily be done in the FACS classroom as there are so many great books that can be incorporated into the various content areas of family consumer sciences. 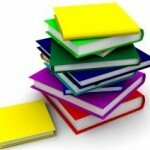 Below you will find a compiled list of books recommended by content area. If you have any additional “reads” that you use in your FACS classroom that should be included, please add them in the comment section below. 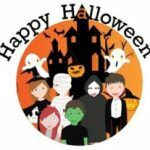 You may ask yourself “How does Halloween fit into the FACS classroom?”, but actually there are a variety of ways and areas you can incorporate this event or holiday into your classes. If you have any additional ideas after perusing the list below, please share via the “Be A Part” tab above or the comment section below. Happy Halloween! Technology, Sewing & Fashion: What’s New? t’s amazing how technology can influence and change our perception and creativity of things, including sewing and fashion! If you teach sewing and/or fashion, below are some ideas of how technology has influenced or become a part of the art. At one time these ideas may have existed only in our imaginations and now they are reality! If you know of other ideas or resources available, please share via the comment section below. When teaching about families in crisis I like to specifically focus on a select few that often vary from one year to the next. quilt.blocks. However, I also like students to be aware that there are a multitude of crises that families can face throughout their lives. In order to make them aware, I like to have students select a crisis and find an article about it to read and summarize. 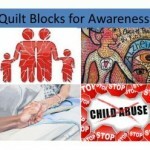 After summarizing and connecting their feelings to the issue, I like to have them make a classroom quilt square depicting their selected crisis. When put together, it makes a statement about specific crises and draws others in to make them aware of issues facing families today. I have a confession to make…I am fascinated with silly monsters! They are just too stinkin’ cute! So when I wanted my students make no-sew bean bags in my Child Development class for activities to do with toddlers to help develop their large motor skills and balance, I couldn’t resist using silly monsters as my theme. Students not only enjoyed making the bean bags and applying their creativity, but also had fun participating in the activities they created to go with them! Some of the most cherished gifts our family has received over the years have been made by the hands of the people we love. In fact we look forward to those gifts every year as they’ve kind of become a tradition. 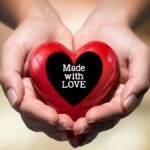 Sometimes those gifts made with love were born out of necessity due to limited resources available to go out and purchase store bought gifts, but many times they were made and given out of love for the recipient(s) of the gift. For example, many years ago, very close friends of ours began making us a delicious candy-like treat that can only be described as “Christmas Crack” because once you start eating it, you can’t stop! We love the candy and our friends and look forward to that gift every year! After all, how can you look at, use or consume that wonderful gift without thinking fond thoughts of the talented person/people who took the time to make it for YOU! Why not teach your students how they can use their talents, time and resources to make gifts of love to give to those in their lives that they cherish most during this Christmas and Holiday season? Equipment Activities: What am I? My classroom runs much smoother when my students are engaged in interactive activities. That’s one of the reasons why I POST.IT.NOTESlove these activities! The first is a fun little game that gets students up, moving around and tests their knowledge of basic equipment used in the kitchen, the sewing room, or the nursery. All you need is a list of equipment and some post-it-notes or index cards. This activity can be prepared as a one time use activity or you can make reusable cards with yarn. This activity is very versatile and can be used like a pretest to see what students know about the basic equipment used in each area or it could be used as a review activity after teaching about them. Another fun review game is played on the laptop or electronic devices such as phones, ipads, tablets, etc. using a web-based technology called Kahoot. Students beg to play this fun, interactive game and are very competitive. Try them out and be prepared to see your students engaged, learning and having fun all at the same time! 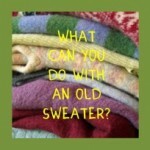 Lately I’ve seen a lot of really innovative projects made out of old sweaters, especially on Pinterest. This got me thinking about what a great project this would be for my students to practice the concept of recycling or repurposing materials. So I visited my local thrift store and lucky for me they had a clearance rack of clothing, much of it old wool sweaters. I gathered as many as I could find into my cart and headed for the check out. The possibilities that could be made with all of these sweaters were endless! I couldn’t wait to challenge my students and see how creative they could be and teach them to recycle/repurpose as well as teach basic sewing skills at the same time.